TEXAS. Click IMAGE to enlarge or click THIS LINE for your favorite thing about this lobby. The Magnolia Hotel Houston in downtown Houston, Texas is located in the urban core of the city. Formerly the Houston Post Dispatch newspaper building and the original corporate headquarters for Shell Oil Company, the hotel now features 314 hotel rooms and suites, including the lavish Ross Sterling Presidential Suite, extended stay suites, roof top lap pool and Jacuzzi, executive conference center with a grand ballroom, Magnolia’s signature lounge with billiards room, and 24-hour fitness center. 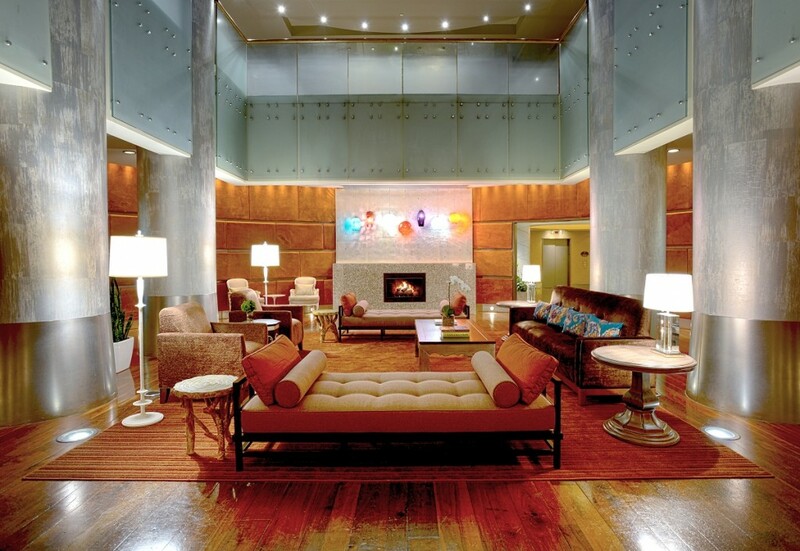 Swank and sophisticated, many visitors admit the hotel’s signature lounges are cozier than their own living rooms.